Custom-made contemporary upholstery and furniture made in Manchester. 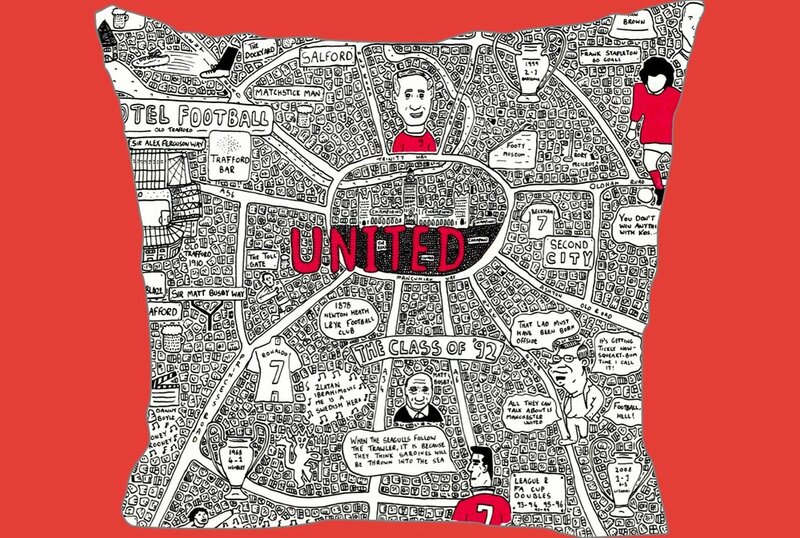 New Manchester United Doodle Map Cushion by artist Dave Draws. Our Doodle Map scatter cushions are an ideal addition to add a quirky touch to your living space. In our latest edition, we are pleased to introduce the new #UnitedCushion, based on the highly successful 'Doodle Map' cushions designs of Manchester artist Dave Draws. 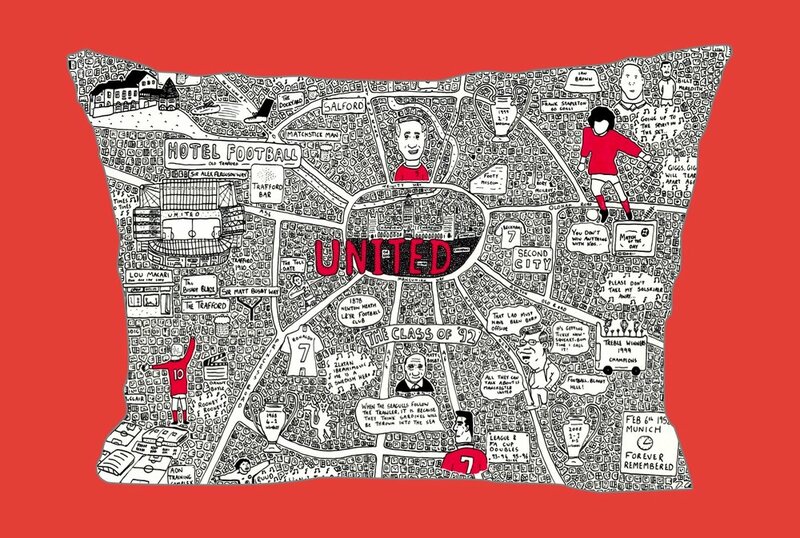 Using his signature style, Dave has applied this to incorporate key icons, moments in history, past & present players and locations synonymous with United. Totally unique and a perfect gift. The #unitedcushion is an ideal addition to your Manchester United collection and a 'must have' for the avid supporter. Designed, Printed & Handmade in Manchester! We use the latest digital printing technology to apply the design onto a crisp white 100% cotton twill. Each is feather filled (polyester on request) and has a concealed zip, backed in a soft touch charcoal fabric. All cushions are handmade in our Manchester Studio. Includes free UK mainland postage. You are also welcome to collect from the workshop. Please email if outside this area or have special requirements.